1. How to open an account with 7FUN? Step 1: Click on "REGISTER NOW" and fill up the form. The full name must match with your bank account holder name for withdrawal. Step 2: Please enter your username, password, contact number, email and code number, verify your currency and click "Submit" button to complete registration. Please do take note that you have to fill up your REAL NAME that easy for us to process your withdrawal and avoid any issue in future. 2.Is it secure and confidential for personal detail?? Yes! We ensure that all your personal details are secure and confidential. We have a professional Technology to control and protect all the customer details. So with 7FUN7 you no need to worry about this. 3. How to make Deposit and Withdraw? You could get the deposit account just by click on our Deposit Button nearby your user name.That you will be get the full deposit information easily. You could make your withdraw request by your account just by click on our Withdraw Button and fill up all the real bank information. That your withdrawal will be done within few minutes. 4. How can I be certain games are fair? 5. How to change my password? To change your password, simply click on your profile name and select “Change Password”. Enter the current password and the new password, then click “Submit” to change. 6. How if I forget my password and username? No need to worry about it, You just kindly contact our Customer Service to verify your email , phone number,and bank holder that you registered with us. After verification we will send you the new password thru your email or via WhatsApp. 7. What is the Currency that 7FUN7 support? 7FUN7 supports the currency only Singapore Dollar (SGD). 8. How long does it take for deposit and withdrawal? Usually all deposit will be done process within 5-10 minutes and withdrawal will be done within 10-15 minutes. 9.How long does 7FUN7 settle their betting? We aim to settle bets as quickly as possible, however for some events official confirmation of the result is necessary which may delay the settlement procedures. We will help you to follow about the issue that happen and update for you immediately. 10.How if website down or my betting got problem? About this issue you could contact to our customer service 24/7 or via WhatsApp. We will help you to settle all the issue as soon as possible. 11. If I have any other question that is not answered in the FAQ, what should I do? 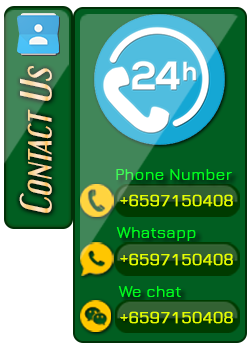 Simply contact our Customer Service 24/7 thru Live Chat with any of your questions. All promotions offer is limited to one per person, family, household address, email address, telephone number, and same payment account number, shared computer (e.g. school, public library or workplace) and shared IP.In the event of collusion or use of multiple accounts, 7FUN7 have the right reason to treat that account under investigation or account will be suspended without any notice. Customers must be at least 16 years of age in order to place bets. 7FUN7 reserves the right to ask for proof of age from customers and to suspend their account until satisfactory documentation is provided. All deposit without claim any promotion needed reached x1 time rollover before request any funds withdraw. You agree to keep your account name and password secret and confidential and not to allow anyone else to use it. If you misplace, forget, or lose your account name or password, you should notify our customer services department immediately. New security details will then be allocated to you. Customers cannot cancel or change a bet once the bet has been accepted and confirmed. 7FUN7 reserves the right to amend, cancel, reclaim or pause any promotion.